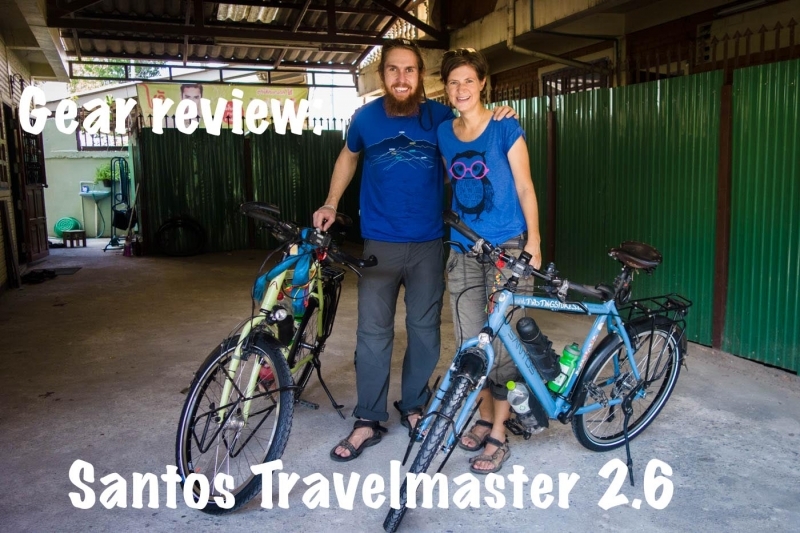 Santos Travelmaster 2.6 was the bicycle of choice for us and it is a really versatile touring bicycle. We know now after cycling more than 32000km on the Santos travelmaster! So we would like to share our thoughts in this Review Santos Travelmaster. Back in 2013 we had little to no knowledge what this journey would bring. We relied on the manufacturer and the advice we could find on others’ blogs. Did we make to right choice back then? We believe we did. Bare in mind that we have no commercial relations with Santos Bikes. We have learned a great deal about bicycles along the journey and for sure more than we thought we éver would. Having seen people cycle tour on old second hand bicycles, tricycles, tandems, with Rohloff and many more has taught us that the bicycle is not the means of the journey, but just a part of it. You can do this on most bicycles it just depends on how you will and want to deal with issues along the way. 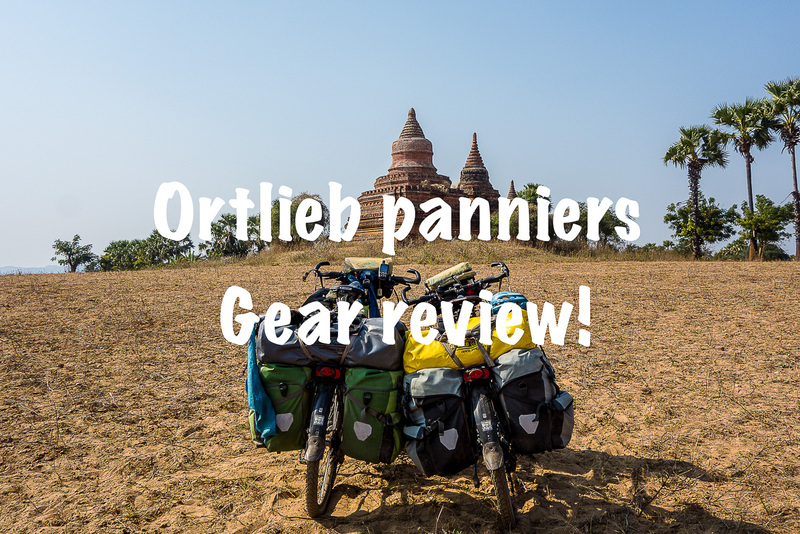 We wrote about how we chose our bicycles and we have a gear choice post on the santos travelmaster. 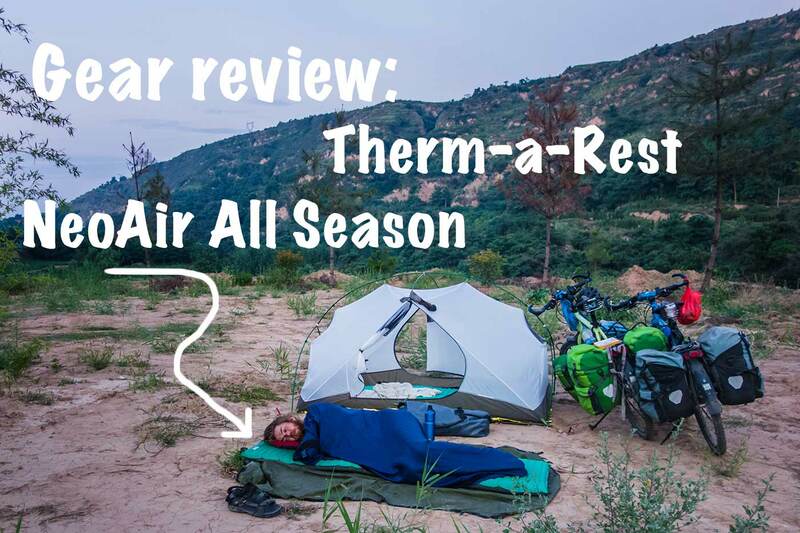 As you might know we have cycled in almost all conditions the last 2 years from +45c to -30c, from below sea level to above 4700m, deserts, jungle, mountains, urban environment. These two bicycles have done all this with their handlebars high! This said we have had some incidents along the way nothing major, these issues are described in the tab section. The Santos Travelmaster 2.6 is a well known touring bicycle in the Netherlands which has its advantages and downsides. Advantages are that you can find other people who have ridden on the bicycle and get their advice while the downside may be that the popularity has brought the price up. We had made a clear choice on the Shimano drivetrain and it has never let us down. As you will see in the Maintenance tab we have been exchanging parts along the way. We would not be scared of saying that you can easily ride more than 9000km without ever changing anything with this set up. But we have been exchanging more often for the safety of it. 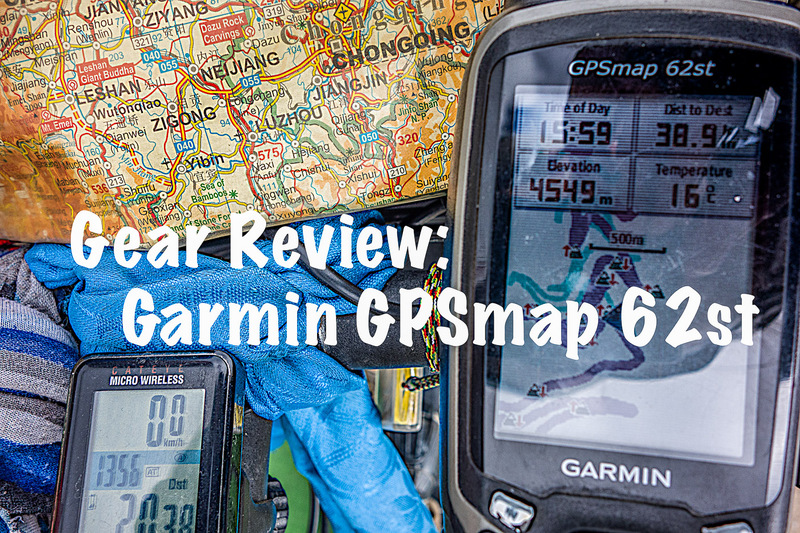 Conclusion Shimano still rocks but developments might change this. The Tubus racks have been some real work horses not a crack on them! We did cover the attachment points with frame protection tape, but this has been worn down with the result of wearing the paint down on the racks themselves. Have had to tension all screws in the beginning but the last 10.000km no loose screws. So we have no doubt if we should buy new racks they would again be Tubus. Conclusion sturdy racks that will get you out there! The frame is an aluminium frame and a sturdy one. When riding loaded the Santos Travelmaster handles very well even on fast downhills, 70km/hr no real wobble. We have not had any issues with frame or front fork. On Martin’s bicycle “Mojo” the headset has this anti-turn function which has cracked twice now, not sure if this has been improved by Santos Bikes. Update the Anti-turn functions has been upgraded and Santos tells us that there has been no issues since the upgrade. Did we ever worry when cycling on an aluminium frame? Not really as it has been used by many other cycle travellers. Conclusion a strong and stiff frame that can handle the load of 130kg+! 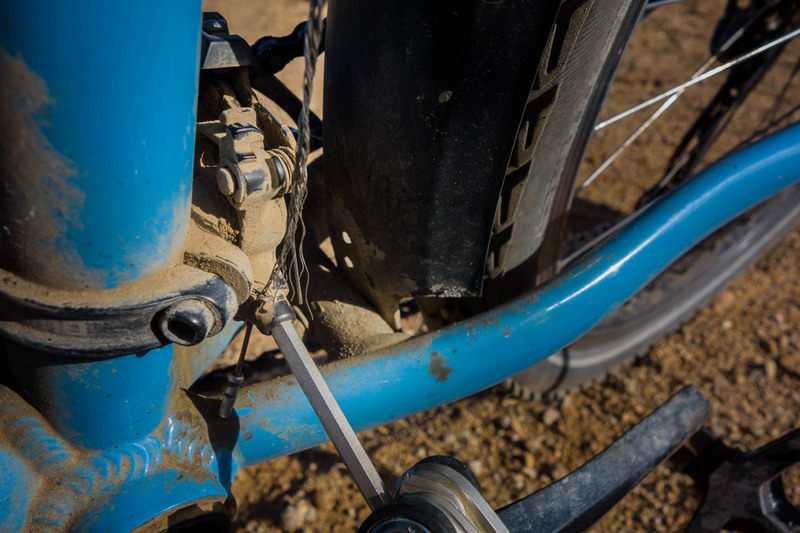 Brakes are a vital part of cycling. Is it worth it to have hydraulic brakes from Magura? We are not sure. The braking is really really good and we have cycled in all situations but the issue that makes us reconsider is the fact that both our brake systems failed and started to leak. Magura replaced the brakes and we were lucky to be in South Korea and had no issues receiving the new systems. So conclusion superb braking power but not reliable enough for long term touring. The wheels have been doing really well holding up the load of the Santos Travelmaster through rough terrain. When we ordered our bicycles we did not pay too much attention to the wheels as we were told we would be fine with this set up. Looking back this was a mistake as it is really a vital part and carries the load. We were lucky that the guys at Santos had the right parts and makes strong wheels. After more 30.000km the back wheel of Mojo started to crack so we switched wheels as Isaba is lighter. We were able to ride more than 3.000km with the cracked rim and received replacement from Santos in Chiang Mai. The Schwalbe Mondial has been a pleasure to ride on in all terrain: a total of 15 punctures is great performance. Keep up the good work Schwalbe! The Son 28 Dynamo has never failed and has been running our GPS and charging our batteries all the way. Sometimes a slight hum as felt from the hub but nothing major. We never knew what it would mean to us to have a leather Brooks saddle. The saddle is hard but our behinds have really appreciated this. So we have always ridden with thin padded cycle shorts and never had any real discomfort. After a break of two weeks we need a day to get in to the drill and then the slight pain is gone. We have treated our saddles along the way with the saddle fat and that has kept them in shape. Sadly Mojo’s saddle the Brooks 67 men’s broke down and we tried to get a replacement from brooks but never got it because of little response. Finally Santos Bikes helped us out and shipped a new B17 so will see how that works out! Conclusion: Perfect fit for us and has been great to sit on. Maybe quality is not what it used to be? Being able to switch on lights when in heavy traffic or low light situations has been a real help. Never any issues and in combination with the Son 28 always light on the road. Conclusion: Great to be able to turn on the light in a dark tunnel! We are happy with this setup and have never had real pain due to lack of positions. The rubber on the Ergon bar ends is degenerating and very sticky. Great article with just full information, but why not Roloff with carbon drive like bicycle junkies? Hi Gert, Thank you for your kind words. We are yet to see the added value of the Rohloff with carbon drive. To our knowledge maintenance is still needed and when it breaks there is no easy fix. We love our old fashion shimano with a proven concept and parts available worldwide. Price is more or less the same when comparing cost after 30000km. Have a read about Stephen’s experinces with Rohloff the http://www.cyclingthe6.com/2015/08/equipment-reviews-2015.html.